I don’t have to say much, because the name states the obvious but if you know me/ have read my blog before; I love a good lobster – grilled or steamed in the shell and of course a lobster roll! – Yum. As a non-meat (excl. chicken) eater, I can’t say I’ve tried the burger but then again who goes to “Burger and Lobster” and orders the everyday (every resturant) burger; with that said, I really quite enjoy lobster! Accompanied by a tin of fresh cut fries and pre-dressed salad and lets not forget the garlic butter sauce, I highly recommend this place. With only 2 things on the menu, its pretty straight forward so if you’re into lobster (or burger), and haven’t tried it yet; get yourself down to your nearest Burger and Lobster! I LOVE Summer, mainly due to the SUN but also because of the obvious above; ICE CREAM! Ice Cream man/van Ice cream that is! Cone, rainbow sprinkles, strawberry sauce and a classic flake- Yes! A Smoothie A Day Keeps the Doctor Away! There was fresh fruit and juices, cereal in abundance, an array of bread to be toasted or eaten as, smoothies in tall skinny shot glasses, a trays off pastries and breakfast muffins. As well as a table full of hot dishes fit for an English fry up and lets not forget the extended menu of prepared plates of food; hence the pancakes and Eggs Benedict; the list goes on…Like I said, it was amazing! Put it this way, they don’t say “breakfast is the most important meal of the day” for nothing! When they talk about fashion and being alternative they mean the David Bowies, Lady Gagas, Susie Bubbles and Jeremy Scotts but when they talk about food and being alternative this is what they meant…And if they remade Breakfast at Tiffany’s I’m sure this multicoloured bagel would make its Hollywood debut! …A trip out of town, well more like to a town (from the big city). A small spa town to be precise! A getaway lets say. A getaway to Malvern Spa and a great getaway it was! Just for a couple of days, I escaped to the countryside, up North (from London) to the place with the Malvern Hills to enjoy some well deserved relaxation time in the saunas, steam and thermo power jet pools of The Malvern Spa. Anyway, the reason for the post is to discuss food. It doesn’t get better nor simpler than FOOD! Then again, these posh pretty plates were intended to fulfil desires beyond “simple”! 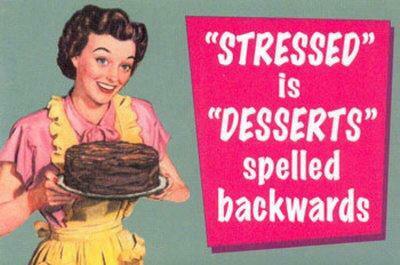 So lets just stick with Food! (and in the meantime, click here to read more about he Spa break) So yes, my point was all to do with the eating part of the trip. As much as it was a surprise, it was a delightful one. (The quality and presentation of the food that is, not that we were fed at all. That in itself is always an expectation)! From fine dining at dinner to equally as fine at breakfast, I enjoyed every encounter I had with food! The pan fried scallops came in a much larger quantity than I ever imagined from such posh plates. Laid around a fresh pickled salad and topped with homemade tortilla chips, I quite enjoyed the starters. Followed by pan fried trout on a just as large plate- and pretty presentation of course, I thought the scoop of crushed olive potatoes topped with a bed of baby spinach wouldn’t be enough, but I was proved wrong. The veggie mix/ roasted tomato sauce was also a nice finish that actually helped me finish up and wipe the plate clean. Having given up cheese for the 40 days and 40 nights of lent, I was unable to enjoy the goat’s cheese and caramelised red onion tartlet (mmm) that say opposite me; on a bed of rocket (glad I missed that part) and drizzled with a balsamic dressing! Then morning came and breakfast saw those large white plates again; this time complete with an overbearing portion of smoked salmon (not complaining) topped with scrambled eggs and a lemon wedge! All in all; yum! For such a good deal and the spa package too, who am I to complain! It was delightful! MUNCHIES: The best chicken and waffles I’ve tasted! …Ok, so its the only chicken and waffles I’ve tasted -[YET], nevertheless it was a pretty good first encounter. Either it really was that good or it was the munchies talking. Oh, and the Mac’n’Cheese was also delicious; the right balance of cheesy, creamy and altogether yum! Munchies or no munchies, if you are in Amsterdam and want some good food its worth stopping by at Cut Throat; Barber shop, bar and restaurant. Random I know, but hey thats what makes it cool! …that’s the Harrods Georgian styled tea room for you! A step up from a crossiant and a coffee in a take away cup wouldn’t you say? If you’re like me and quite indecisive (especially when it comes to cake), this is the perfect solution to all your sweet-tooth, cake loving, dessert obsessed problems! 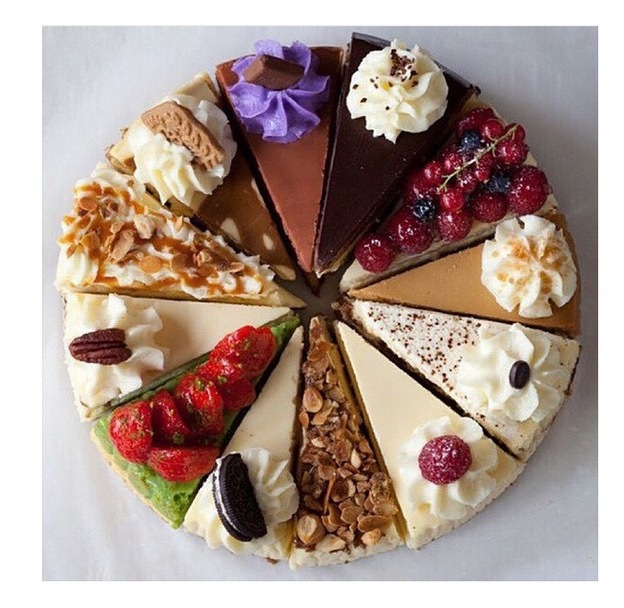 This is the definition of “Having your Cake AND Eating it too” I mean why choose one flavour, when you can have them all! Of course it was delicious and I certainly cleaned my plate, [well, chopping board!] 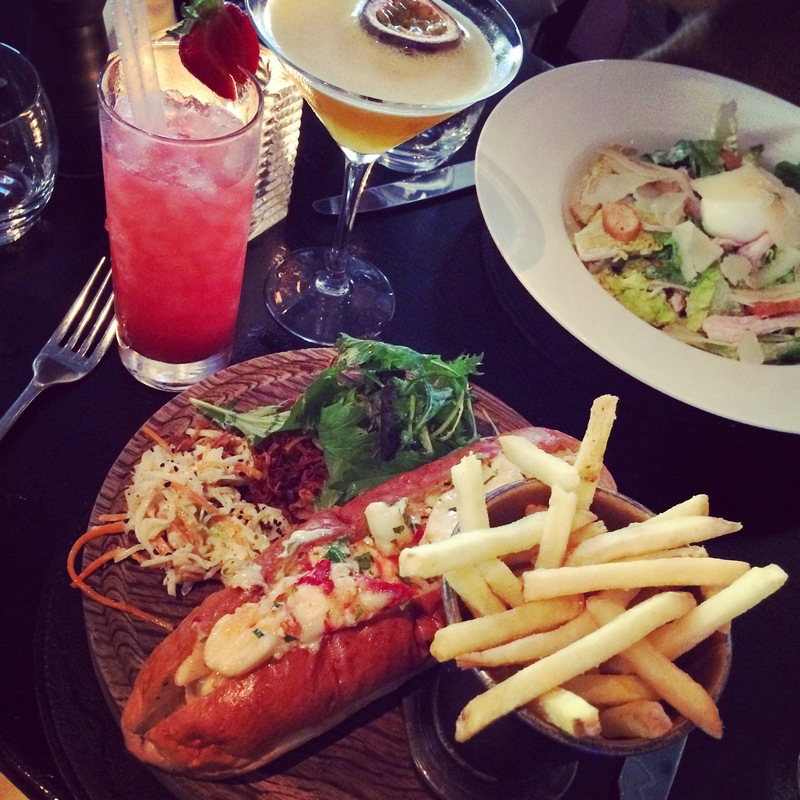 Served with fresh cut fries, seasonal salad, cream coleslaw and crispy sweet onions; the lobster dog was definitely the right choice. Admittedly, its not the best lobster I’ve tasted; but like I said, I’ve has a lot of lobster lately; however it was well seasoned and tasted great. I enjoyed it! And hey, I’ll be back. #Yum! 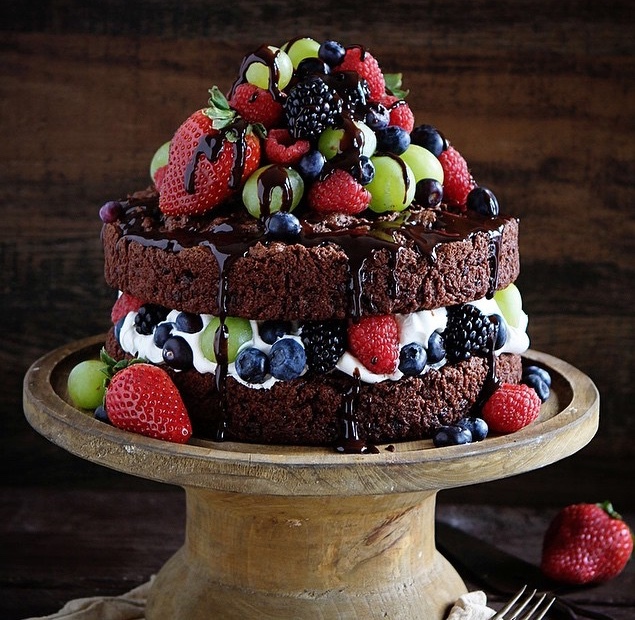 Who said Chocolate Cake wasn’t healthy?! Starters. 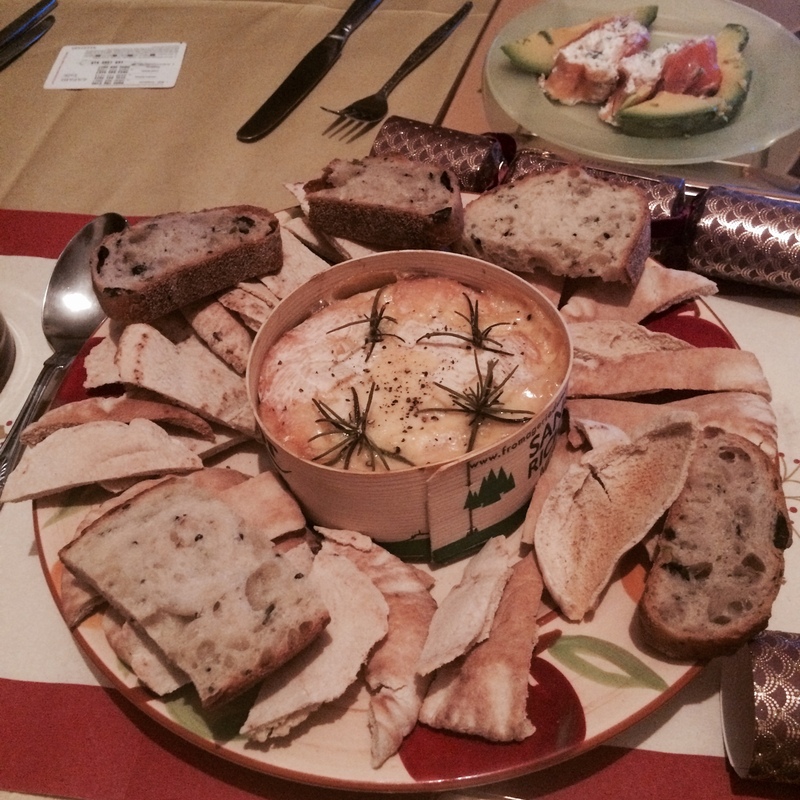 I never thought I’d say it but I actually quite liked this baked camembert dish. Served with grilled flatbread and flavoured with rosemary and garlic cloves, this posh starters was rather tasty. Almost like a cheese fondue, the bread dipping, novelty dish is perfect for sharing. With an addiction to cake, obsession with flavours and appetite to try new things, I baked my very first ginger cake. From a midday craving to an experimental loaf; I quickly found an intriguing recipe, took a trip to Tesco and gave it a go. Compared to my regular home bakes; I’ve got to say; this one was an unusual one. With half the ingredients mixed in a saucepan then brought to a boil, egg-free and baked for an hour on a low heat, the sticky spiced ginger cake’s recipe seemed somewhat bazaar. Nevertheless, as new to me as the method was, the outcome was just as worthwhile. Yum yum yum! …the flavours of South America. From street food and middle of the day snacks to full blown meals, I’m dreaming of food, food and more food! After spending four months in Brazil, Argentina, Peru and Colombia, I can’t help but reminisce and take my mind back to the food! With new cultures to embrace, strangers surrounding me, language barriers and missing loved ones back at home, sometimes, eating was the best part of my day- I mean who doesn’t look forward to food? Good food too! The exotic fruits and flavours, unusual combinations and mouthwatering dishes are one of the main reasons I love to travel; because experiencing food is just as exciting as experiencing the country itself-sometimes better! Fish and seafood are always at the top of my list, but I especially liked Moqueca; a Bahian (Northern Brazil) coconut milk based fish stew. Slow cooked with tomatoes, onions, garlic, coriander and palm oil, the seafood and boneless fish tasted exquisite. I also loved the local shallow fried fish and yuca (cassava) served in a paper bag on the beach in Cartagena, Colombia-simple yet amazing! Yum, yum, yum! Another favourite plate I became obsessed with was Colombia’s seasoned grilled fish served with delicious coconut rice and twice fried plantain- mmmmm! My main addiction however, was Brazil’s favourite berry; acai! 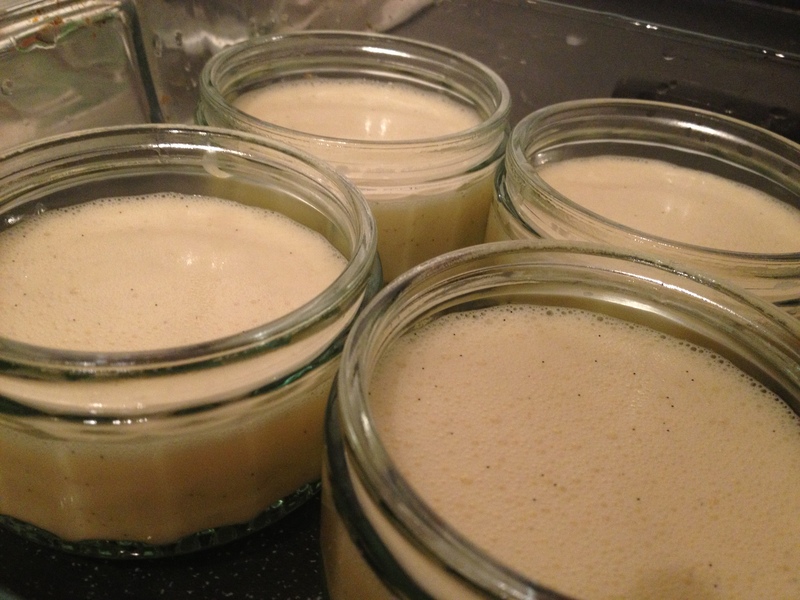 Puréed, frozen and served in a bowl or cup with granola and honey, I could not get enough. Sometimes I’d have it more than once a day- obsessed much? The best bit was that acai is so healthy and good for you, it didn’t matter how much I ate!- at least that’s what I told myself. Now, almost 3 months back, it’s time to stop depriving myself and locate some good Brazilian acai in London. I don’t know where this photo was taken, who took it or where i can find the food in it, but i do know that i need it on my plate and preferably soon. Like most of the things i find myself dreaming about, I found this mouth-watering shot on Instagram and now I’m adamant to taste it. 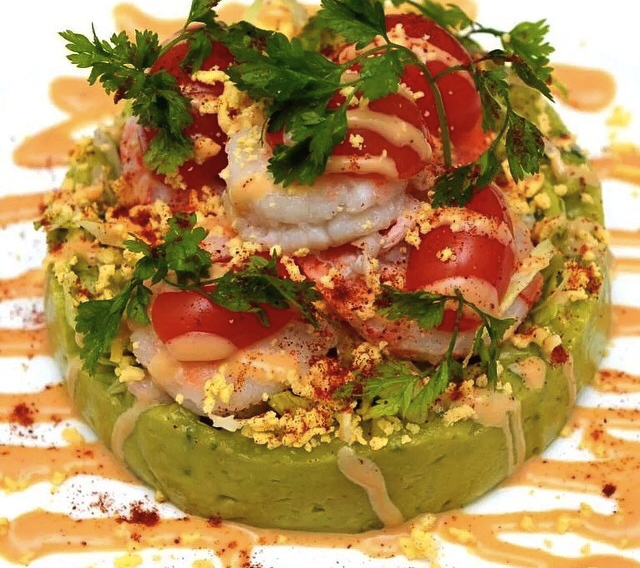 Avocado mousse topped with what looks like seasoned steamed shrimps, cherry tomatoes and parsley, drizzled with a light cocktail sauce and dusted with either paprika or chilli powder; its definitely my kind of food. Yum, yum, yum! 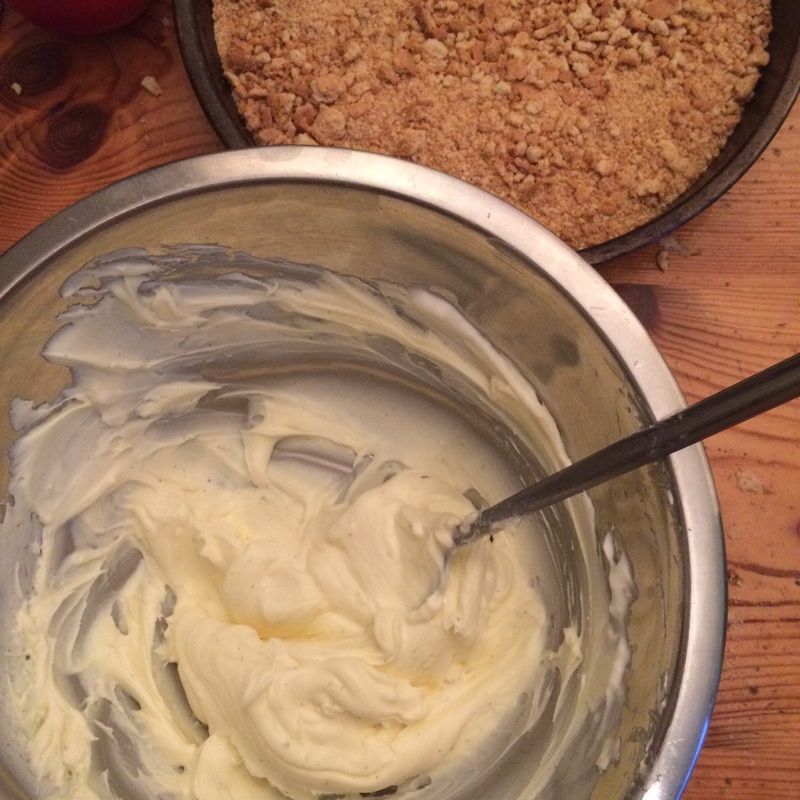 It doesn’t have to be Pancake Day! Suddenly I’m addicted to pancakes. Sweet and savoury. Made with chocolate chips, toffee chunks, banana or plane jane. Topped with fruit, scrambled eggs or drizzles of maple syrup -you name it, I’ve had it. 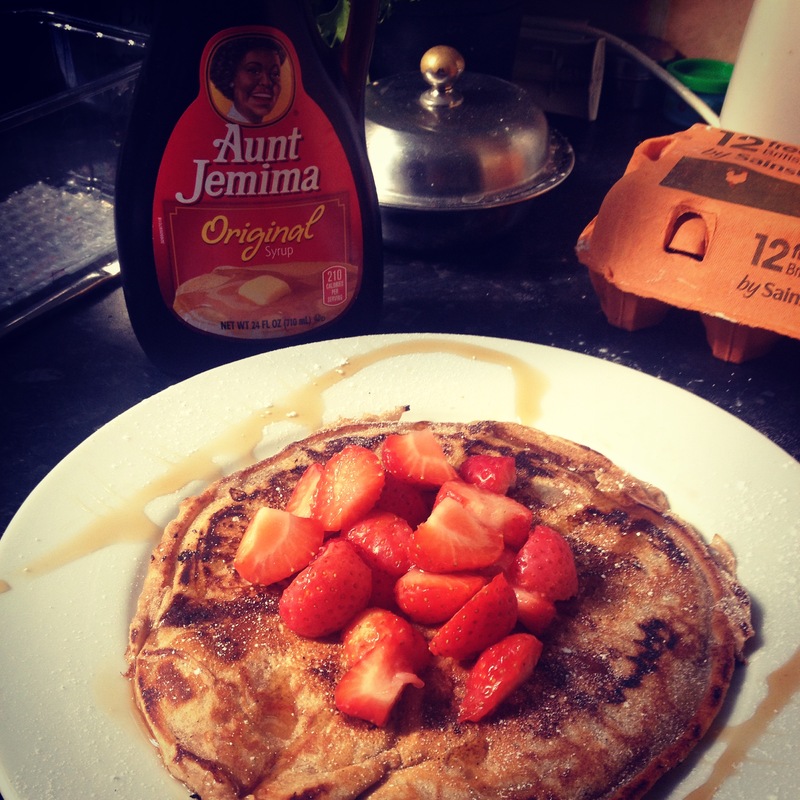 To tell the truth, I have always loved pancakes; you’d be crazy not to, but since being brought back Aunty Jemima from the States; I’m living the American Dream! 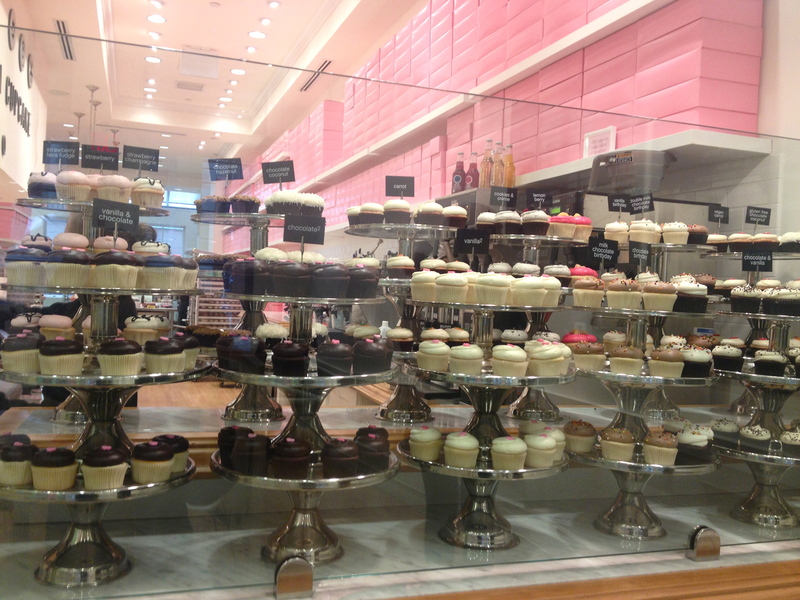 The BEST Cupcakes is New York City. 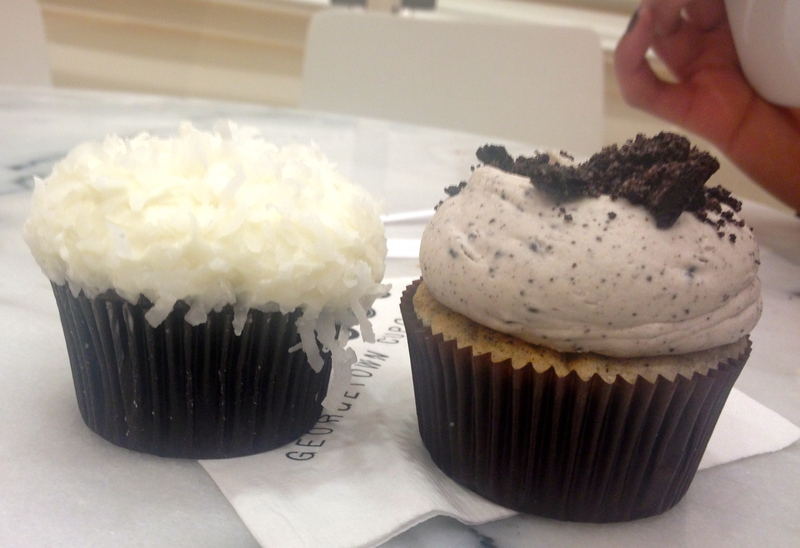 If you are ever around the fabulous City that is New York and your someone with a sweet tooth or just appreciates a good cake, then “George town Cupcakes” is the place to be. Its situated in NY’s kool and quirky; Soho and believe me once you’ve had just one bite, you’ll know your in the right place. 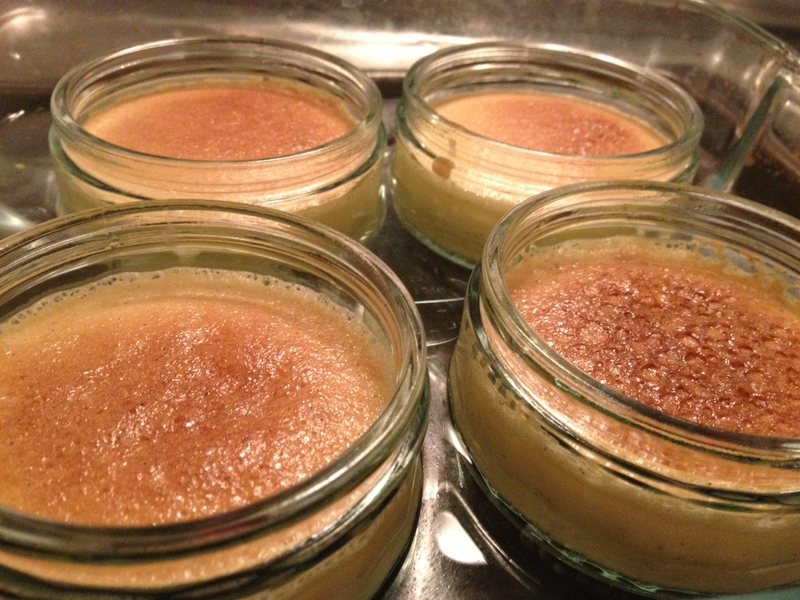 Not too sweet, nor too heavy, but lite, fluffy and delicious, its definitely worth putting on the ‘to do list’! What better way to start my food posts, than with dessert?! Thanks to the best room mates in the world, I was bought a blow torch for cooking, and I love it. Best present ever!!! So i figured it was about time I actually used it. 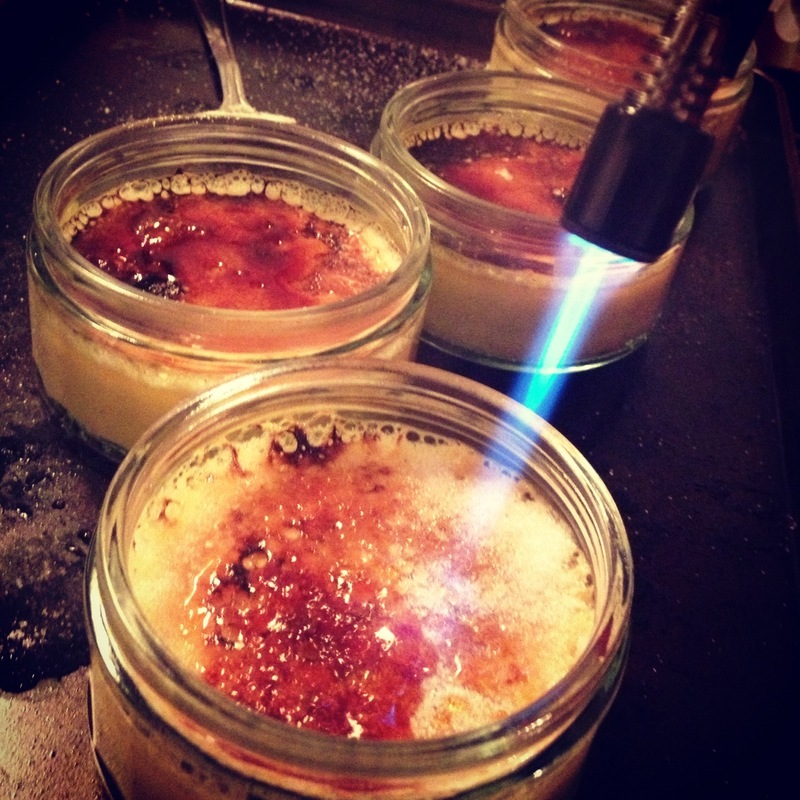 I’d never tried Crème brûlée before, but always wanted to, so that is exactly what I did. First time I made it, I was pretty impressed with myself, the second time however, it just wasn’t as nice. It wasn’t bad, but i guess my first attempt was beginners luck! Ok so this one I didn’t make but it was too delicious and too perfect not to snap up. 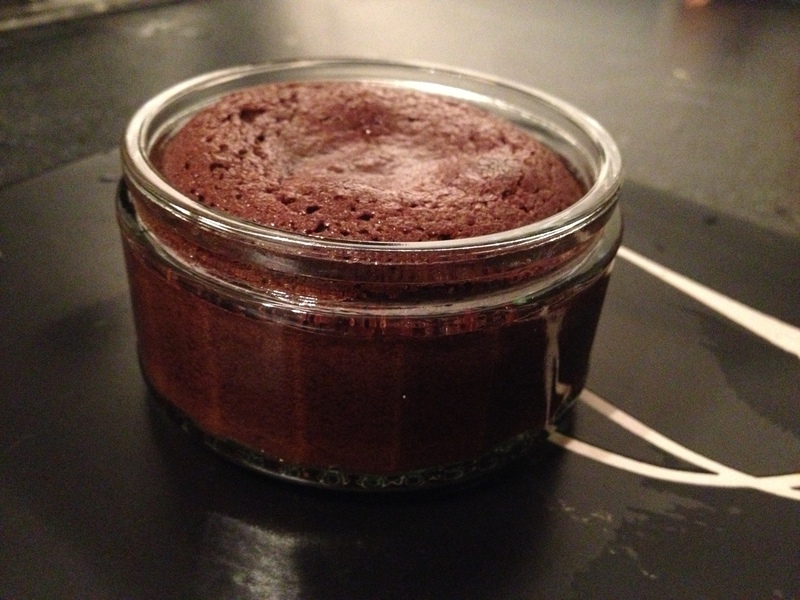 If you have never tried GU chocolate souffle, you are truly missing out. This is the start of something beautiful, so watch this space for more luxurious desserts and pretty plates of food.